RIT’s physician assistant program prepares you to elicit medical histories, conduct physical examinations, order laboratory and radiological testing, diagnose common illnesses, determine treatment, provide medical advice, counsel and educate patients, promote wellness and disease prevention, assist in surgery, and perform casting and suturing. Physician assistant duties vary depending on the state and specialty in which they practice. In most states, including New York, physician assistants may prescribe medication. Examples of specialties include (but are not limited to): internal medicine, family medicine, emergency medicine, geriatrics, pediatrics, women’s health, behavioral health, general surgery, orthopedics, neurosurgery, and neonatology. Clinical rotations (internships) during students’ last year provide the opportunity to explore these varied disciplines. 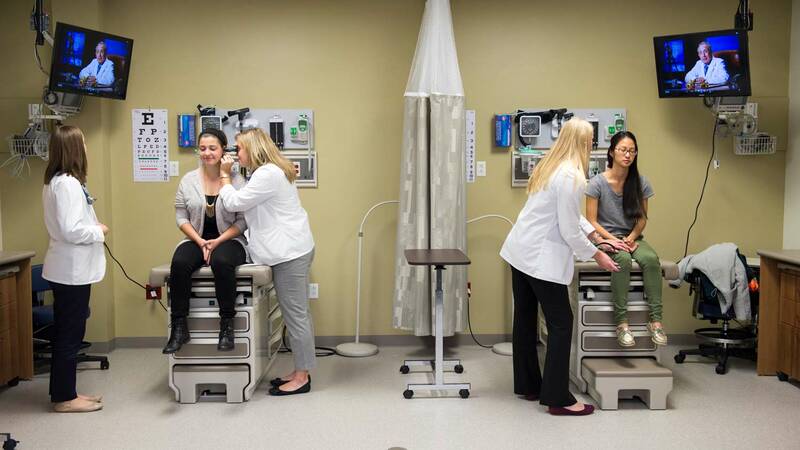 The physician assistant major is offered as a BS/MS degree program, which enables students to earn both a bachelor’s degree and a master’s degree in five years. The curriculum is divided into a pre-professional phase (years 1 and 2), which includes course work in the basic sciences, mathematics, general education, and liberal arts; and a professional phase, (years 3, 4, and 5), which features didactic medical education and culminates in clinical rotations in which students apply their medical knowledge in a series of rotations through various disciplines of medicine. Clinical rotations include a five-week experience in various disciplines of medicine, providing students with the opportunity to apply the basic principles of medicine to hospital-based and ambulatory patient care settings. Students are assigned to a primary preceptor (physician/physician assistant) and are exposed to a wide variety of acute and chronic medical problems. The emphasis is on data gathering, physical examination, differential diagnosis, patient management, maintenance of medical records, performance of diagnostic and therapeutic procedures, and the provision of patient education and counseling. Mandatory rotations are in the fields of internal medicine, family medicine, geriatrics, orthopedics, emergency medicine, women’s health, pediatrics, general surgery, and behavioral health. Students also select one elective rotation, which enables them to customize their experience according to their medical area of interest. At its September 2017 meeting, the Accreditation Review Commission on Education for the Physician Assistant, Inc. (ARC-PA) placed the physician assistant program sponsored by Rochester Institute of Technology on Accreditation-Probation status until its next review in September 2019. Probation is a temporary status of accreditation conferred when a program does not meet the Standards and when the capability of the program to provide an acceptable educational experience for its students is threatened. Once placed on probation, programs that still fail to comply with accreditation requirements in a timely manner, as specified by the ARC-PA, may be scheduled for a focused site visit and/or risk having their accreditation withdrawn. Specific questions regarding the program and its plans should be directed to the program director, Heidi Miller, PA-C, MPH (hbmscl@rit.edu) and/or vice president and dean, Daniel Ornt, MD (dboihst@rit.edu). RIT graduate programs are among the best in the nation, according to the U.S. News annual statistical survey of graduate programs published today. RIT master’s degree programs in engineering, business and physician assistant feature in the U.S. News & World Report 2020 edition of Best Graduate Schools. Andrea Atcheson ’99 (physician assistant) works one-on-one with people to reduce their risk of cardiovascular disease through wellness coaching. Heidi Miller, director of the physician assistant BS/MS program, has been recognized with a Distinguished Service Award from the Rochester Academy of Medicine. This course will focus on the application of biochemical knowledge to the field of medicine. Students will learn the basic functions of water, carbohydrates, lipids, proteins, and nucleic acids in humans, then explore implications of this knowledge in nutrition and metabolism and its relationship to health and disease. This course will introduce students to key elements and concepts of the biology of human pathogens. Students will study how this understanding impacts the therapeutic modalities for the treatment and prevention of human infectious disease. Through this learning process, students will gain an understanding as to how these topics directly relate to future roles as healthcare providers. This introductory course in the Pathophysiology of Disease course sequence will present the physician assistant student with normal and abnormal function of cells in general, illustrating how these cellular abnormalities affect function of specific organ systems. The respiratory, renal, and cardiovascular organ systems will be highlighted and mechanisms of neoplasia will be introduced. The endocrine, and gastrointestinal organ systems will be highlighted. This second course is the second in a two-part sequence that introduces the physician assistant student to the normal and abnormal cellular and physiologic processes that underlie many human diseases. Hematologic, pulmonary, immune, and neurologic systems will be covered during this semester. Understanding of how these abnormalities affect clinical laboratory data will also be acquired. This is the first in a two-course sequence which introduces and develops the clinical psychosocial skills and anatomic/physiologic science involved in interviewing and examining patients. This course includes practical medical terminology, attitude development and values clarification strategies to aid students in adopting a humanistic approach, interviewing techniques used during patient interaction, comprehensive database development, demonstrated techniques for complete physical examination of all body systems and explanation/implementation of the Problem-Oriented Medical Record (POMR). The course involves weekly patient contact. This second of a two-course sequence introduces and develops the clinical psychosocial and anatomic/physiologic science involved in examining patients. The course includes performing and writing complete, accurate medical histories and physical examinations with small group instruction. Weekly patient contact. This is the first of the Clinical Medicine sequence of courses. The student will be presented with the necessary foundation of knowledge to begin to understand the patient’s condition within a clinical context. An organ systems approach is utilized in this course to study diseases of the skin, ears, oral cavity, ophthalmology, upper respiratory tract, endocrine system, and gastrointestinal tract. Principles of preventive medicine will be woven throughout the curriculum. An introduction to disorders involving the cardiovascular system will complete the semester. This is the second in the sequence of Clinical Medicine courses. The course will present the physician assistant student with the necessary knowledge to understand the patient within a clinical context. A body systems approach is utilized in this course to study diseases of the cardiovascular, selected endocrine topics, renal, men's health, heme/oncology, pulmonary, and nervous systems. Principles of preventive medicine will be woven throughout the curriculum. This is a course designed as a laboratory-intensive overview of normal structure in prosected (dissections performed ahead of time by staff) examples of cadaver anatomy. Special emphases will be placed on the anatomical correlates associated with upper/lower extremity, neck, and back muscle groups/joints/bones, peripheral nerve plexuses (including spinal and cranial nerves), major arterial/venous pathways, and body viscera in areas of the head/neck, thorax, abdomen, and pelvis. Where appropriate, evidence of pathologies will be discussed at the cadaver side. Additionally, students will participate in clinical case presentations that correspond to the particular dissection subject at-hand throughout the quarter. This course provides physician assistant students with an introduction to the PA profession. The course encompasses historical origins and early educational models. The course covers various professional entities; licensure, certification, accreditation, professional organizations, and medical ethics. This introductory course in the Clinical Pharmacology course sequence presents the physician assistant student with the necessary foundation of knowledge to safely and effectively prescribe medication for common and/or important disorders. The course will begin with a study of the mechanics of pharmacology: pharmacodynamics and pharmacokinetics. Following this introduction, an organ systems approach, paralleling the systems presented in Clinical Medicine I, is utilized to study medications relevant to gastrointestinal disease. This is the second course in the Clinical Pharmacology course sequence that presents the physician assistant student with the necessary foundation of knowledge to safely and effectively prescribe medication for common and/or important disorders. Course content will complement material presented simultaneously in the Clinical Medicine II course including key concepts of pharmacodynamics and pharmacokinetics. These will be utilized to study medications relevant to treat human diseases. This course provides students with an introduction to medical genetics and relevant diseases, syndromes, and clinical disorders. Course focuses on major disorders as subgroups and provides relevant overviews of associated diseases and syndromes within each subgroup. Course also confronts current needs and comprehensive nature of genetic counseling, detailing various patient populations in which this is critical. The student will begin working with hospitalized patients prior to their clinical year of rotations in small group lead instruction. This course engages the student in the critical thinking process used in the daily care and management of a patient. 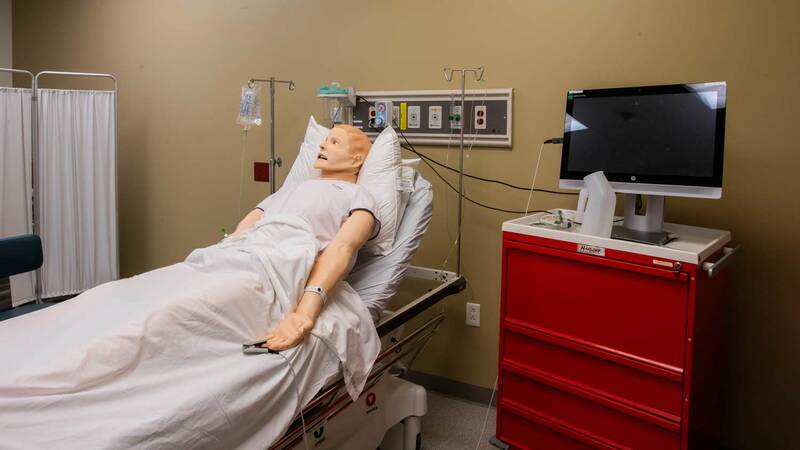 Student-generated patient cases (from hospital work) will be utilized to work through the critical thinking process that is employed in the day-to-day management of a patient. Enhancement of the development of differential diagnosis, assessment and the treatment plans will be emphasized. Order writing, daily progress notes and clinical procedures for each case will be thoroughly explored. This is the final course in the Clinical Medicine sequence of courses and is designed to complete the introduction to human disease. The format will be primarily a population-based approach to presenting disease. The unique diseases and developmental issues encountered in pediatrics, geriatrics, and women’s health will be addressed. An introduction to the important medical issues relevant to caring for surgical patients will be presented. Psychiatric illness, geriatrics, musculoskeletal and rheumatology will be presented. Special topics of trauma, burns, and emergency medicine will complete the course. The principles of preventive medicine will continue to be integrated throughout the curriculum. This course is the introduction to professionalism, professional behaviors for the PA, and behavior science for the PA student. We will explore stereotypes and providers’ inappropriate (or lack of) knowledge and how this might influence access to care. The focus is non-somatic medical skills and knowledge needed to become a clinician who manages these issues with insight into human behavior. Topics will include issues related to age, socioeconomic status, cultural, racial, religious, ethnic and family diversity etc. We will seek out and develop tools to recognize facets (including risk factors for and signs/symptoms) of the above issues and of abuse issues. Setting this foundation in basic psychopathology and its relationship to understanding human illness is core to the PA student’s developing professionalism. This is the final course in the Clinical Pharmacology course sequence that presents the physician assistant student with the necessary foundation of knowledge to safely and effectively prescribe medication for common and/or important disorders. Course content will complement material presented simultaneously in the Clinical Medicine III course including key concepts of pharmacodynamics and pharmacokinetics. These will be utilized to study medications relevant to treat diseases with a focus on the pediatric and geriatric populations. This course introduces the PA student to the most clinically relevant diagnostic imaging modalities, emphasizing the risks and benefits of different modalities, as well as the appropriate indications for obtaining a variety of radiographic studies. The student will be exposed to the most common plain radiographic diagnoses likely to be encountered in clinical practice as well as important life threatening diagnoses. At the conclusion of this course, the student will have foundational skills and competency to interpret plain radiographs demonstrating these important diagnoses. This course provides the PA student with the requisite skills for professional courses and internships. Emphasis is on developing competence in basic skills in conjunction with patient care. Current hepatitis B immunization status highly recommended. This course builds upon the foundation developed during the professional didactic phase of the physician assistant program. Drawing upon this foundation, students will analyze simple and complex case-based patient scenarios. Working individually and in groups, and using computer-assisted patient simulators when possible, the students will be asked to gather data from physical examination, and EKG and laboratory data. Based on the data gathered, the student will recommend further diagnostic evaluations, suggest appropriate treatment, and develop follow-up plans based on the scenario presented. The development of thorough and relevant differential diagnoses for each case study will be an integral part of this process. The case studies will be drawn from a broad variety of clinical disciplines. In addition, students will be required to work in small groups to develop their own "teaching case" and will lead the remainder of the class through a learning exercise based on the case they have created. This course will provide an overview of health care law, principles and ethics as it relates to the health care provider. Lecture topics will cover an introduction to law, criminal aspects of health care, patient consent issues, legal reporting obligations, contracts and antitrust, information management and health care records, HIPAA regulations, legal risk to the health care provider, patient safety and quality assurance, The Affordable Health Care Act, end of life issues, job negotiations and malpractice insurance issues. This course provides students with a foundation in epidemiological concepts from which infectious and non-infectious diseases manifest in acute and chronic settings. Course focuses on descriptive and analytical research designs, conditions associated with their use, and subsequent strengths and weaknesses. Principles of clinical epidemiology are applied to real-world clinical applications in addressing acute and chronic disease characteristics. This course will build on the knowledge of statistics and epidemiology and provide the student with an introduction to research methodology and design. The course design will enable the PA student to read and interpret medical literature and evaluate the findings. The course will introduce different research methods and outcomes assessment of Evidence-Based Medicine (EBM). The course will require the physician assistant student to create a formal graduate research project, which will culminate in a project to be completed in the fifth year of the PA Program. Projects may be in the form of: clinical practice essay, PA curriculum development, medically-related community service project, in-depth medical case review, meta-analysis of specific disease/syndrome, or original medical research. This mandatory rotation in the field of pediatric medicine provides hands-on clinical exposure and experiences. This builds on solid basic medical knowledge and competencies acquired in the didactic, pre-clinical coursework. This mandatory rotation in the field of general medicine provides hands-on clinical exposure and experiences. This builds on solid basic medical knowledge and competencies acquired in the didactic, pre-clinical coursework. This mandatory rotation in the field of obstetrics and gynecologic medicine provides hands-on clinical exposure and experiences. This builds on solid basic medical knowledge and competencies acquired in the didactic, pre-clinical coursework. This is the first in a sequence of courses designed for the physician assistant student in the clinical setting. The course will cover discipline specific areas including a pulmonary workshop and lectures on topics such as working with a pharmaceutical company, professionalism, and rehabilitative medicine. The course will also include an ongoing Evidence-Based Medicine (EBM) series and physician assistant national certification exam board review. This is the first of a two-course sequence which will provide the physician assistant student with opportunities to prepare a formal graduate capstone project/paper. Projects may be in the form of: clinical practice essay, PA curriculum development, medically-related community service project, in-depth medical case review, meta-analysis of specific disease / syndrome, or original medical research. This capstone project/paper will build on clinical training and enable students to build skills for life-long learning as problem solvers and critical evaluators of medical and scientific literature. This course will investigate the appropriate use and interpretation of commonly utilized laboratory tests. Students will be asked to predict results that would be expected to occur in the setting of various diseases. In addition, a significant component of this course will be to introduce the student to the principles of electrocardiogram (EKG) interpretation. By the end of the course, students should be able to interpret both normal 12 lead EKGs as well as commonly encountered abnormal EKGs, with an emphasis on ischemia and infarction. This mandatory rotation in the field of emergency medicine provides hands-on clinical exposure and experiences. This builds on solid basic medical knowledge and competencies acquired in the didactic, pre-clinical coursework. This mandatory rotation in the field of surgery provides hands-on clinical exposure and experiences. This builds on solid basic medical knowledge and competencies acquired in the didactic, pre-clinical coursework. This mandatory rotation in the field of orthopedic medicine provides hands-on clinical exposure and experiences. This builds on solid basic medical knowledge and competencies acquired in the didactic, pre-clinical coursework. This is the second in a sequence of courses designed for the physician assistant student in the clinical setting. The course will cover discipline specific areas including complementary medicine lectures and professionalism. The course will also include an ongoing Evidence-Based Medicine (EBM) series and physician assistant national certification exam board review. This is the last in a sequence of courses designed for the physician assistant student in the clinical setting. The course will cover discipline specific areas including lectures regarding PA workforce issues, coding and billing, social service work and a resume writing workshop. The course will also include an ongoing Evidence-Based Medicine (EBM) series and physician assistant national certification exam board review. This course will provide the physician assistant student with continued preparation of a formal graduate project for the PA Program. Projects may be in the form of: clinical practice essay, PA curriculum development, medically-related community service project, in-depth medical case review, meta-analysis of specific disease/syndrome, or original medical research. This course will culminate with the completion of the capstone project/paper which is founded in clinical experience and enables students to build skills for life-long learning as problem solvers and critical evaluators of medical and scientific literature. This mandatory rotation in the field of geriatric medicine provides hands-on clinical exposure and experiences. This builds on solid basic medical knowledge and competencies acquired in the didactic, pre-clinical coursework. This mandatory rotation in the field of family medicine provides hands-on clinical exposure and experiences. This builds on solid basic medical knowledge and competencies acquired in the didactic, pre-clinical coursework. This mandatory rotation in an elective field of medicine provides additional hands-on clinical exposure and experiences. This builds on solid basic medical knowledge and competencies acquired in the didactic, pre-clinical coursework. In addition to the university’s general admission procedures, the physician assistant major requires the completion of a supplemental data packet, application, and a personal admission interview (by invitation). For more information regarding these additional admission requirements, please contact the Office of Undergraduate Admissions. It also is important to note that the minimum grade point average for acceptance into the physician assistant major is 3.0 (on the basis of a 4.0 maximum) for both high school and transfer students. In order to graduate from the major, a GPA of 3.0 or better must be maintained. Qualified transfer students are accepted into the major, on a space available basis. Prior health care experience and/or shadowing is strongly recommended. Transcript evaluations and rendering of transfer credit are addressed at the time of admission only. Anatomy and physiology courses must be taken within the last five years prior to matriculation to be eligible for transfer. All pre-professional course work must be completed to continue on, or to be considered for entry, into the professional phase of the major. Please contact the Office of Undergraduate Admissions for information on transfer requirements. Students are matriculated into one of the first three years, upon their acceptance into the physician assistant major. Students must complete academic requirements to progress on to the next academic year. Students must meet all program academic requirements, policies, and standards to advance from the pre-professional phase to the professional phase of the program. Once matriculated into the pre-professional phase, students are permitted to take a limited number of courses at another institution during the summer, pending program approval. It is important, however, that students take core science courses at RIT to ensure a consistent educational experience. Students are not permitted to skip class years (i.e. first to third year) once matriculated in the major.